Auckland Jet Boat Tours is New Zealand’s best adventure tour and a must, on your list of things to do in Auckland! Join us at the Viaduct Harbour in the heart of Downtown Auckland for a breathtaking, 35-minute jet boat tour of the stunning Auckland City Coastline, Waitemata Harbour and Hauraki Gulf. Departing from the quayside of the Voyager New Zealand, Maritime Museum, in the Auckland Viaduct on a purpose-built, Twin 300HP, Jet Boat for 35 minutes of jet boating action. With plenty of breathtaking scenery mixed with a distinctly New Zealand-style, guided tour and commentary, you will be up close and personal to the Auckland City landscape and landmarks. 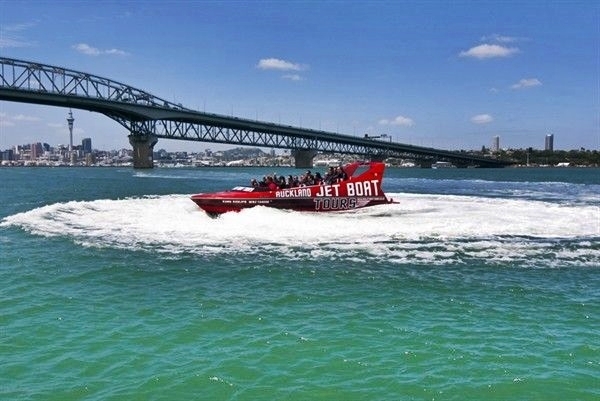 The Auckland jet boat adventure combines high-speed thrills with jet boat maneuvers that include 180 and 270 degree spins with sweeping turns, as you travel up to an exhilarating 85 kilometres per hour! With amazing views of the Auckland City Skyline, and plenty of photo opportunities to capture some lasting memories of Auckland’s most famous and iconic landmarks. 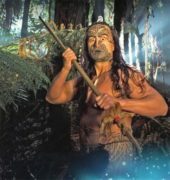 Free entry into the Voyager NZ Maritime Museum with every ticket sold. Departs on the hour, every hour, from 10:00am , 7 days a week.